It’s the time again! Welcome to the blog hop featuring 10 of our favorite creative bloggers. This month’s theme is RED. 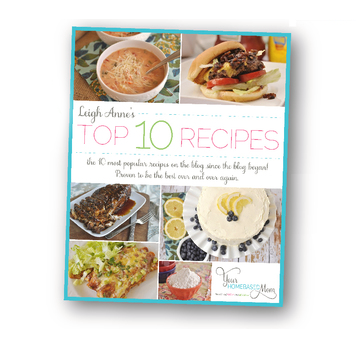 There are so many fun projects to choose from- recipes, decor, and so much more! 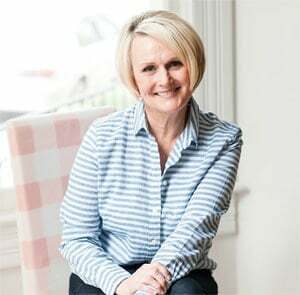 We’d love for you to pin the collage below, and then go see all the other fabulous projects created by some of our friends. 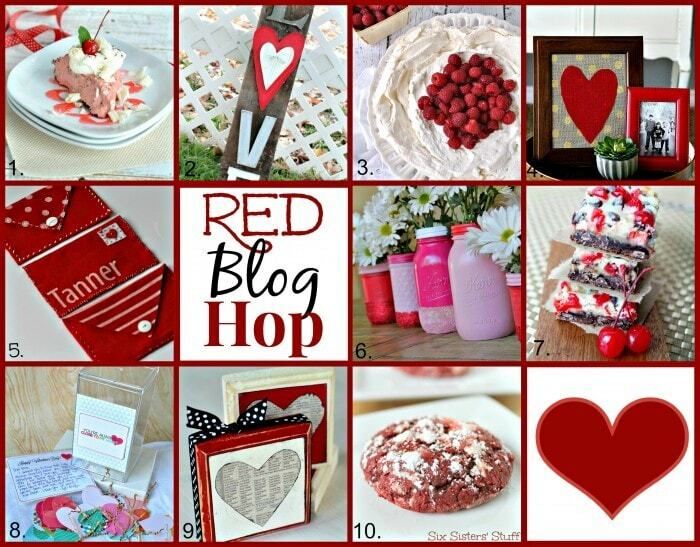 Be sure and check out all the awesome RED projects from my blogger friends! 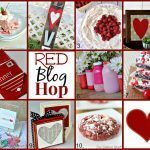 When I found out the theme for this month was red I started thinking about all the red foods I love and at the top of the list was raspberries! I think they may be my favorite red food and my favorite berry. One of my favorite ways to eat raspberries is on top of a sweet bed of meringue and covered in a blanket of whipped cream. It is truly pure heaven in your mouth. The stuff dreams are made of. 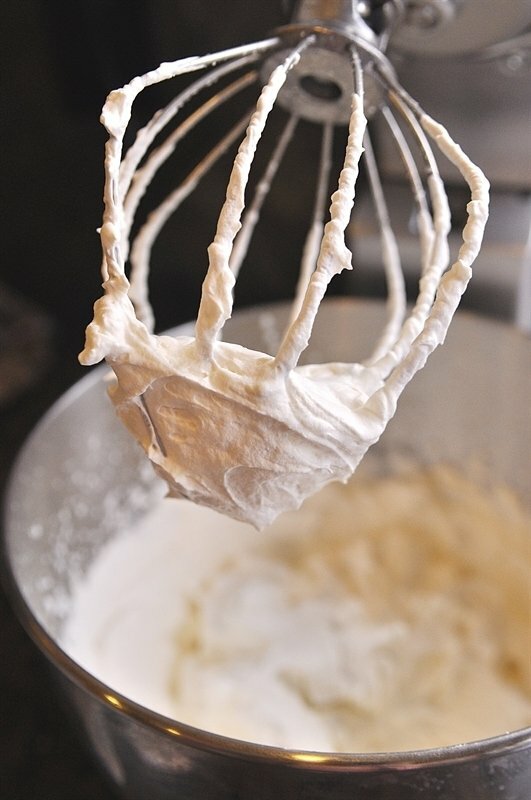 I know a lot of people are afraid of making meringue but it is so easy! 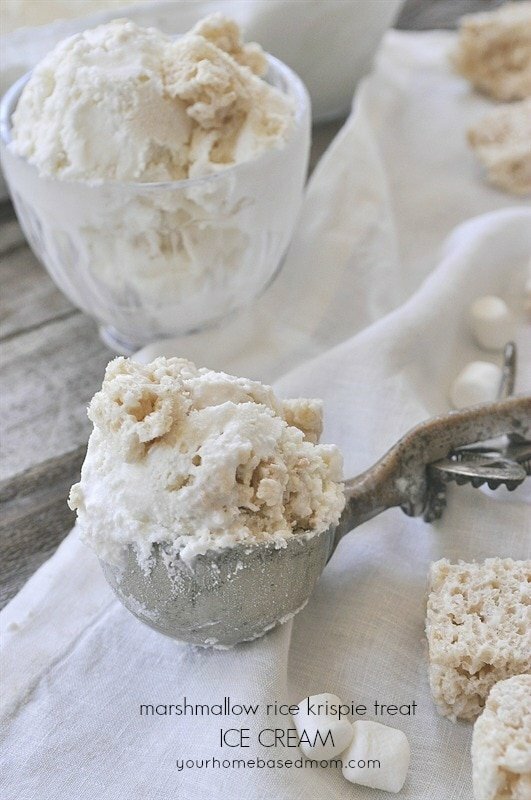 And nothing tastes better than a melt in your mouth meringue! 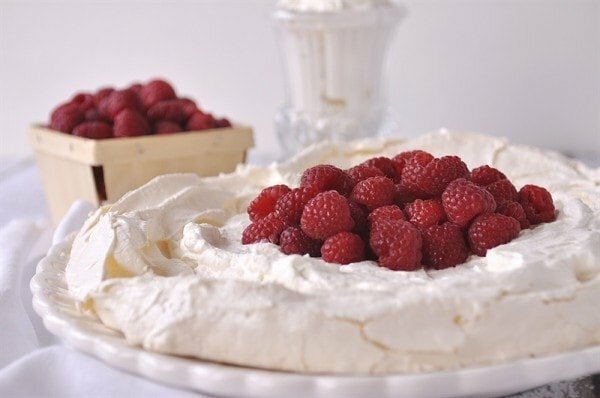 Pavlova is just that – a meringue based dessert named after the Russian ballerina Anna Pavlova. Meringue consists of a crisp crust but a soft, light, slightly chewy inside. This dessert is so light that you almost feel like it doesn’t have any calories. 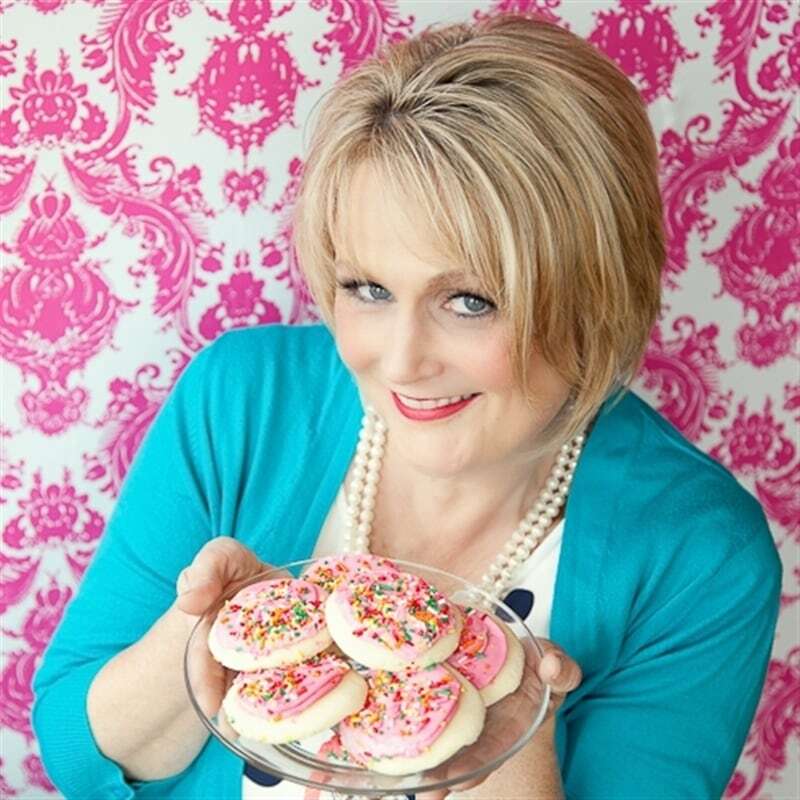 You will probably wish it didn’t have any calories because you are going to want to eat the whole thing yourself!! 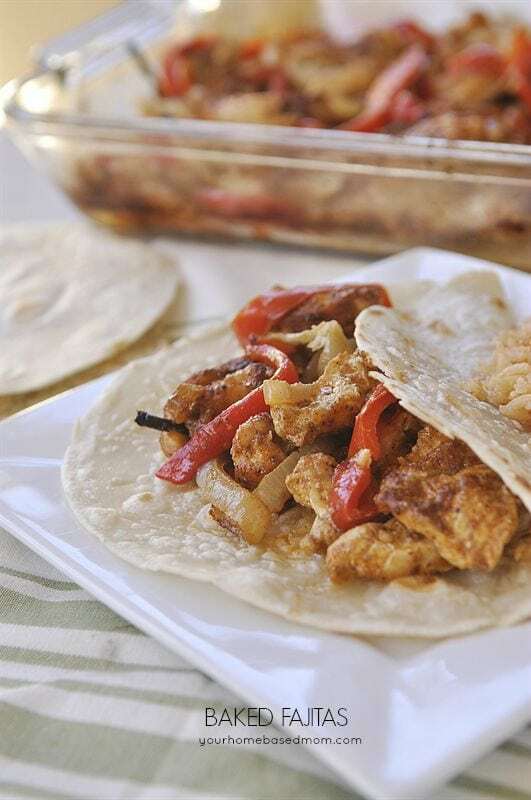 Step 1: Line your cookie sheet with parchment paper or a piece of brown paper bag. 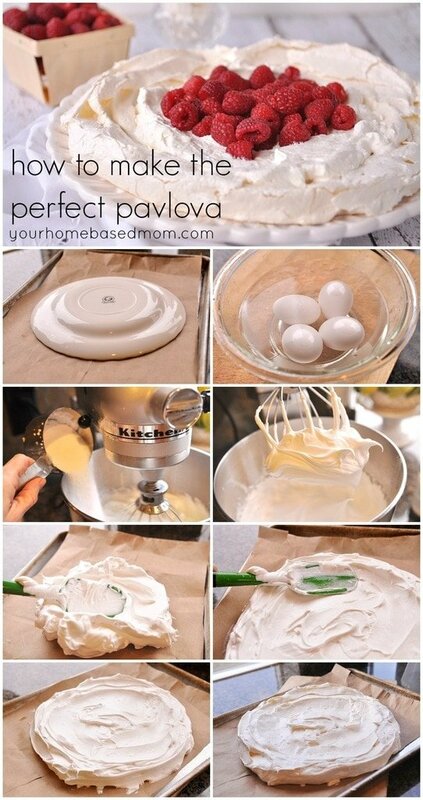 Draw a circle on the paper – the size you want your pavlova. Step 2: Bring egg whites to room temperature. If you have forgotten to take them out of the refrigerator place eggs in a bowl of lukewarm water and allow to sit for about 5 minutes. Step 3: Beat room temp egg whites and cream of tartar until foamy. Add in sugar, a tablespoon at a time. Step 4: Beat until stiff peaks form. Step 5: Spread meringue into the circle on cookie sheet. Step 6: Use the back of a spoon or spatula to form shape. Indent the middle slightly. Step 7: Preheat oven to 300 and place meringue in oven and then immediately turn down oven to 250 degrees. Whip your cream. I like to add a little vanilla and a teaspoon or so of sugar to sweeten a bit. Assemble right before you are ready to serve. 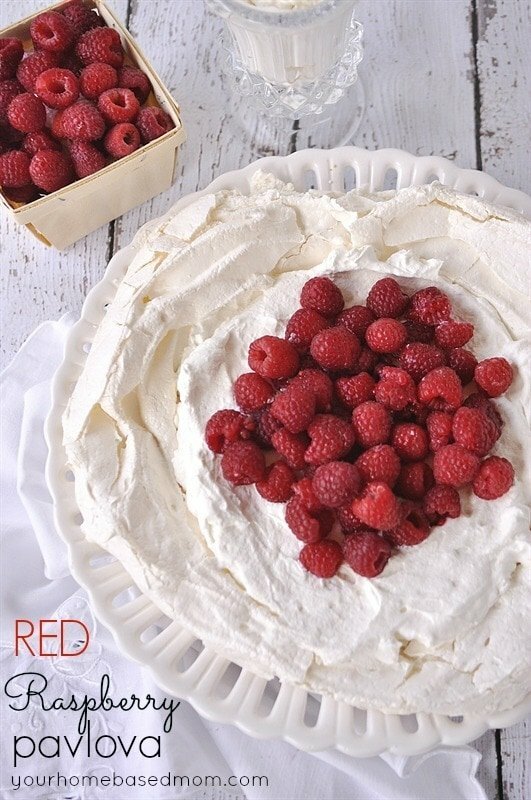 Add whipped cream to the center and then pile those raspberries on! 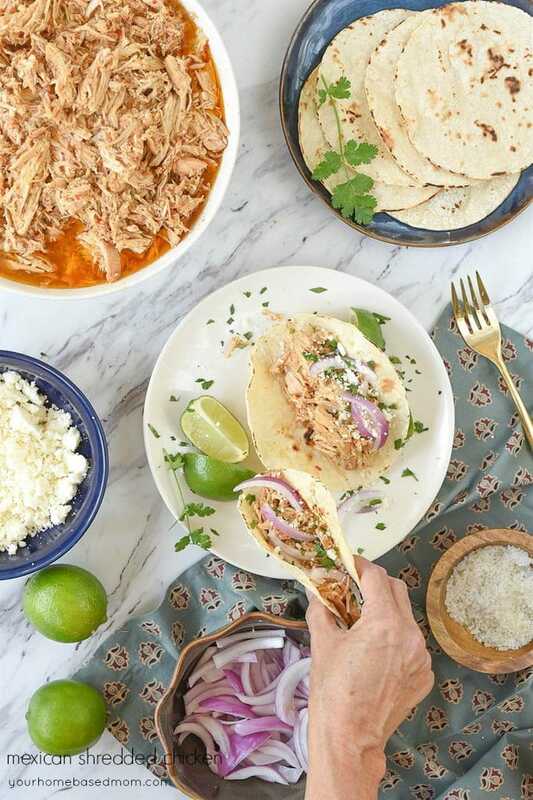 Then the next part is the best part – grab a fork and dig in! 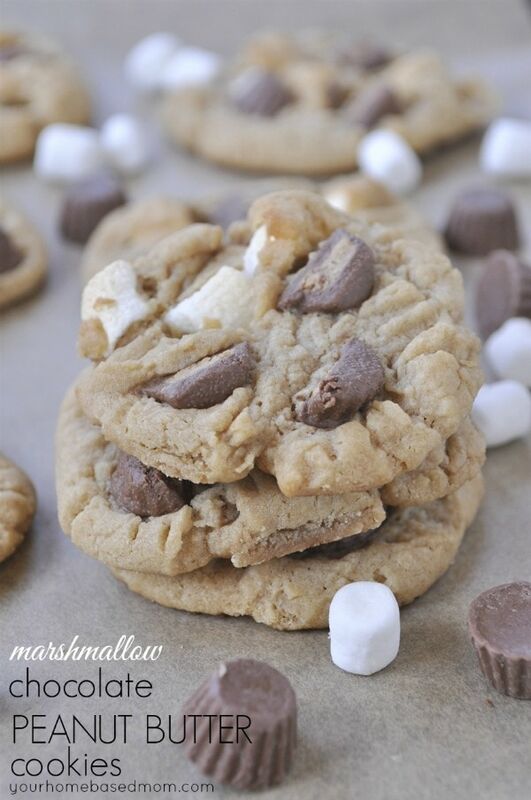 Don’t say I didn’t warn you – you are so going to want to eat the whole thing yourself!! Pavlova is best eaten the day it is made so find someone to share it with your will have to eat the whole thing! Refrigerate until serving or eat right away!! 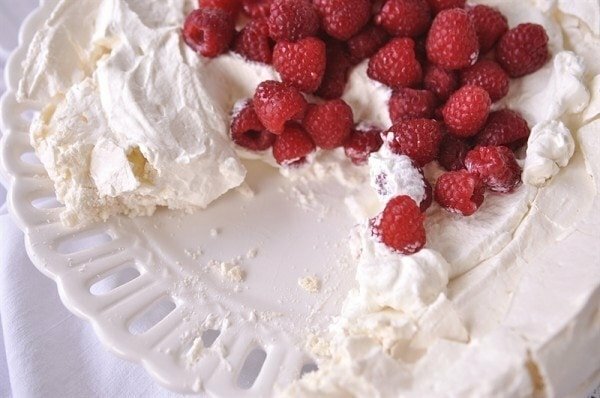 I’ve made pavlova for years (My favorite uses lemon curd and berries for a topping.) I have also used a brown paper bag for baking but am wondering. Do you think a silpat sheet would work? I have always used a brown paper bag or parchment paper so I’m not sure about a silpat. I make mine on a Silpat and have no problem. Hope this helps. Yum! Looks so delicious LA! Thanks Mique – it disappears fast!! Woah, LA, this looks fantastic!! Looks yummy! My youngest daughter and I like to make Pavlova and we always dye it pink. I bet it is so pretty pink! 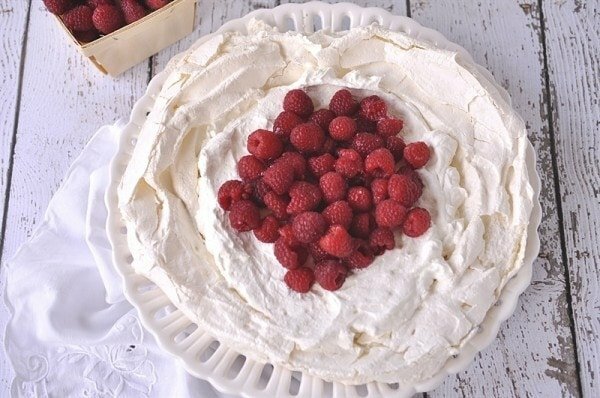 Pavlova.. with raspberries, at home.. alone! What more could I possible ask for? 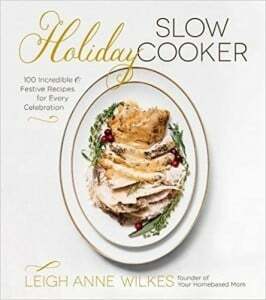 This looks amazing Leigh, you’re making me hungry.